Now, videos are getting more and more important for you to present your thoughts and feeling on Instagram, YouTube, or Facebook. How to make your video looks professional and deserved to share, a free video editing software can do you a favor. We spent about a week for researching and collected 36 hot video editors in the market. Now, let's filter through the list to find the best video editor for you. Even though it is widely considered as one of the premium entry-level video editing software options, Wondershare Filmora9 also offers advanced editing tools. The software product comes with detailed learning resources and provides support to its users who have little editing experience. 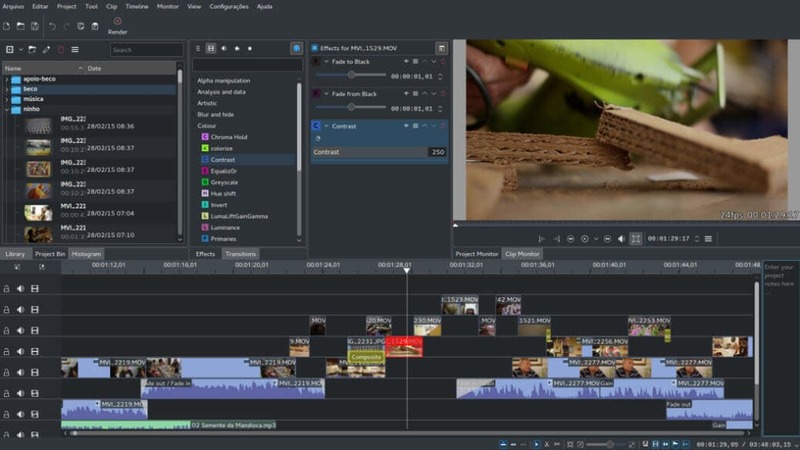 The wide range of file formats and remarkably diverse Export options make Filmora an interesting choice for those who are just entering the world of video editing, but also for more experienced editors. Features: Filmora's rich effect library contains over a thousand modern special effects from niches such as gaming, blockbuster or tutorial, and new effects are added every month. The Action Cam tool is designed to make merging footage shot on action cameras easy and quick. Filmora supports a wide range of file formats including AVI, MP4 or MKV, so you don't have to worry if your footage was shot in 4K or HD because you can easily edit it with this software. A large number of professional video editing features Filmora offers as well as its modernly designed interface makes it one of the best options for amateur video creators. You can use all the features in the free trial version, but have to pay to remove the watermark. This is probably one of the oldest if not the oldest video editing software for PCs. 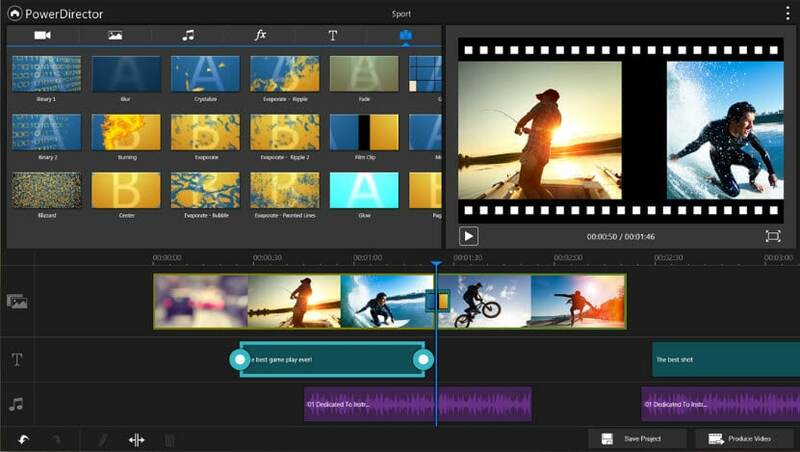 Microsoft has announced that Windows Movie Maker will no longer be available for download. 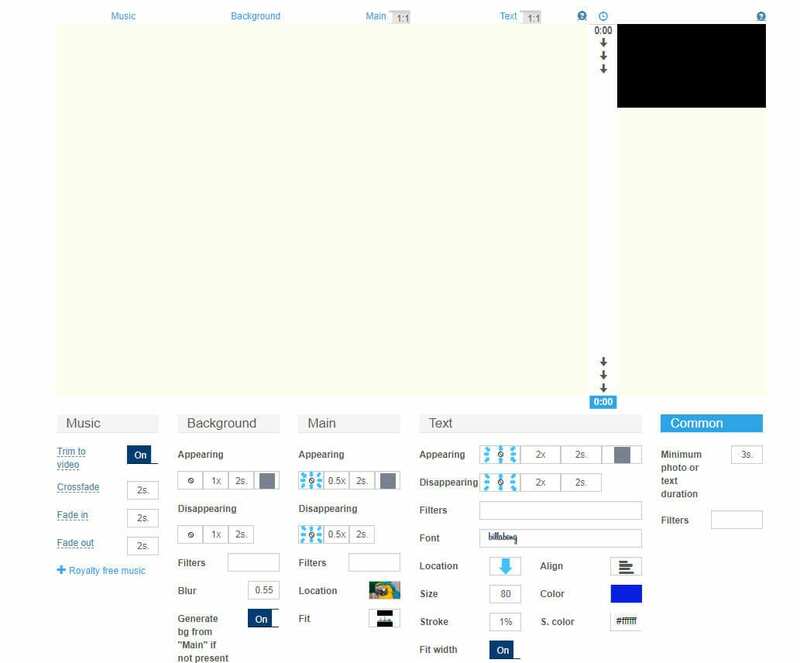 This software can still be found online, although not on Microsoft's website, and currently, there are two different versions of Windows Movie Maker available. 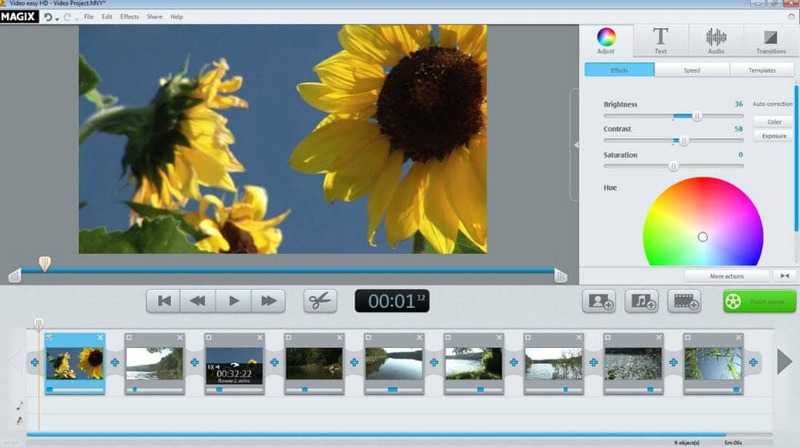 Even the least experienced video editors can master each of the Movie Maker versions easily. Features: The classic video editing software is equipped with all the tools you'll need for basic editing tasks like trimming, changing the video playback speed or rotating videos. It even features a Video Stabilization option that can be useful if you'd like to stabilize a video and remove the distracting camera shakes. 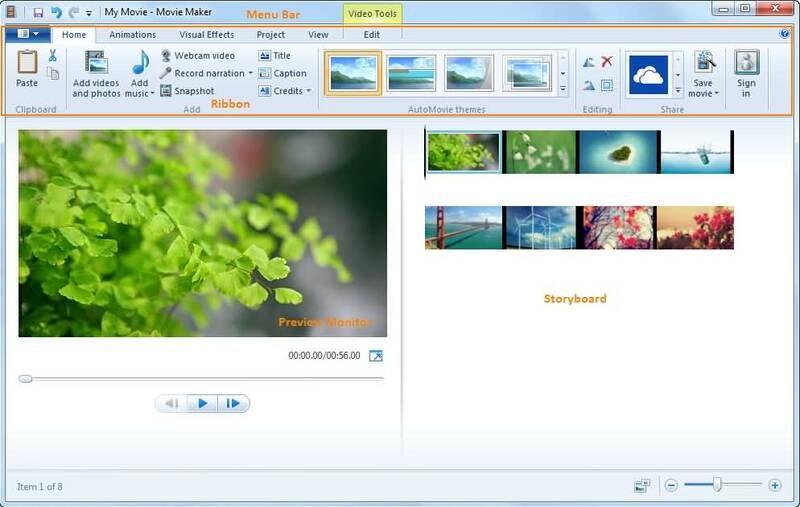 Windows Movie Maker lets you add text effects to your video, insert Transitions between two takes, perform basic audio editing or record a screen. Lacks color correction tools, visual effects or any other advanced video editing options. 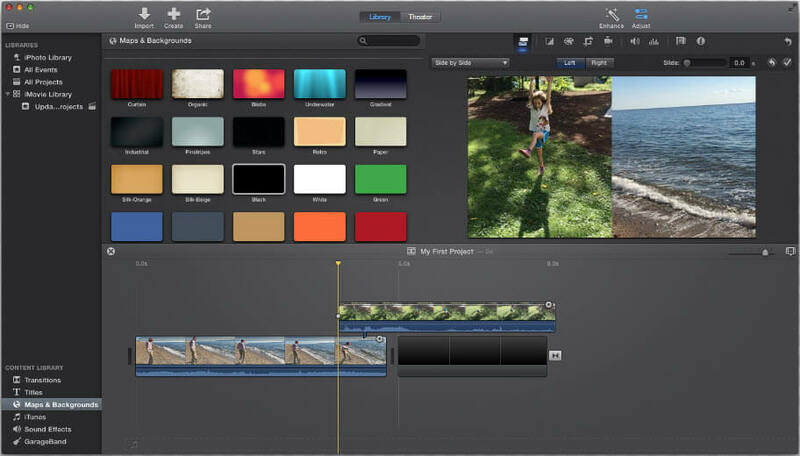 As the Apple's version of the Windows Movie Maker, iMovie has a similar status of a classic video editor that is at its best when used for simple video editing tasks. The video editor can also be used on an iPhone or an iPad if you want to edit your videos on the go. 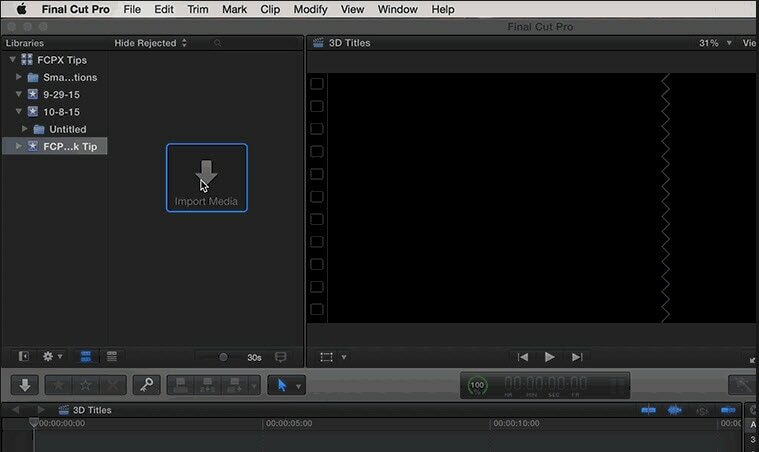 Learning your way around iMovie won't take much of your time since all of its features are easy to use. Features: Editing 4K videos or making credits or titles are just a few among many options provided by iMovie. Adding transitions, applying split-screen effects or creating PIP videos doesn't require you to be a skilled video editor, because all of these options are easily accessible and they can be used in any project you are working on. The iMovie's audio editing options are equally impressive since the software enables you to add music, use built-in sound effects and record voiceovers. The video editor supports most of the popular file formats. This classic video editor for Apple's devices doesn't offer advanced video editing options such as motion tracking or keyframe marking. Final Cut Pro is probably one of the highest praised video editing software ever created. It has been used to edit cinematic masterpieces such as 'What happened Miss Simone' or 'The Girl With a Dragon Tattoo', which speaks volumes about the software's capability. Final Cut Pro's Magnetic Timeline 2 is one of the kind, and it makes organizing large amounts of video and audio files look easy. Although the software's price may seem discouraging, those who invested in it never had to use another video editor. 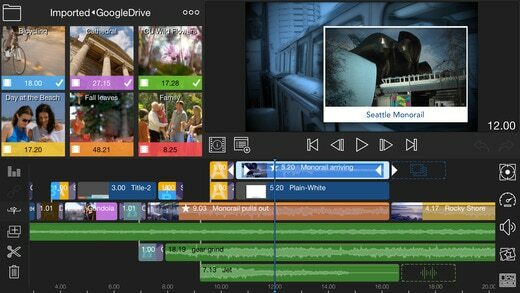 Features: A brief look at the list of Final Cut Pro's video editing tools will leave you wondering if there is anything this software can't do. Besides basic video editing features, the video editor is also equipped with 360 degrees VR video editing option, Multicam editing, and advanced color grading tools. Final Cut Pro allows its users to add as many audio tracks to the timeline as they want, thus enabling them to create impeccable soundtracks for their videos. Advantages: Working with large numbers of video files is simplified by the software's timeline, while options such as 3D titles or VR contribute to the strong impression this editor leaves on all of its users. Limitations: Final Cut Pro has some lingering glitches that still haven't been fixed, and its audio editing tool set lacks some important pieces. This high-end video editing suite is frequently used to edit Hollywood movies. The free version of the software offers a lot of powerful video editing tools, but in order to utilize this video editor in its full capacity, you'll have to purchase a $1000 license. Professional video editors commonly use DaVinci Resolve for color grading, but its audio editing or creative tools are equally impressive. This video editor is best suited for video production houses, large studios or teams that are working on demanding projects. Features: DaVinci Resolve lets you apply the same edit on several different video clips, which can speed up a video editing process significantly. In addition, the software can predict which video editing tool you are going to need next and allows you to select it automatically. The Split View feature provides more precision when trimming video clips, by displaying previews of both clips. Color Grading options are what DaVinci Resolve is famous for, but its audio editing features are a truly hidden gem. Advantages: Enables its users to produce videos with stunning image quality, and contains a large number of delivery codecs that ensure the clean output. DaVinci Resolve is equipped with hundreds of audio effects that can be used in a wide variety of projects. 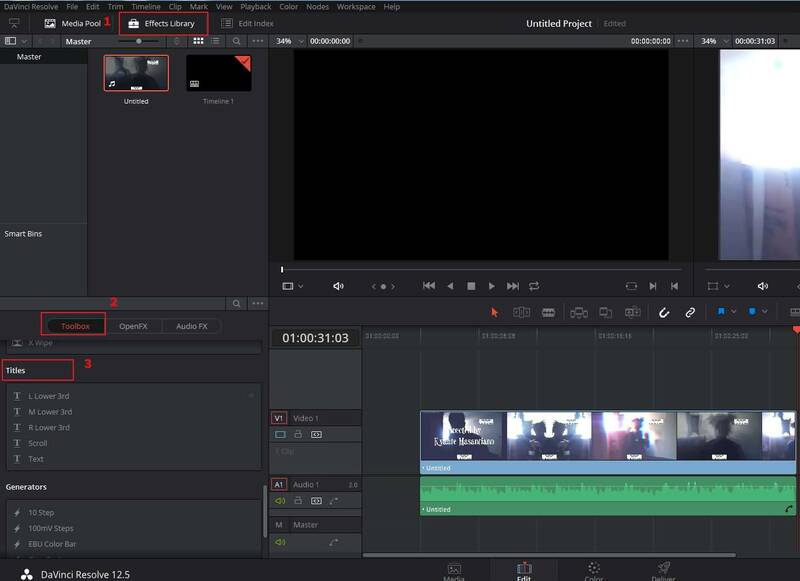 Limitations: This video editing software doesn't allow you to create timelines with different settings within the same project and its editing features are still not as powerful as the ones offered by Adobe Premiere Pro or Final Cut Pro. Lightworks is one of the best video editing software on this list with a long history in the movie-making business. The free version of the software is available, but it has limited export options. A $25 monthly subscription is required in order to gain access to all of the software's features. Although it may be a somewhat pricey option, purchasing Lightworks is a profitable investment that may help you improve the quality of your videos. Features: Both free and paid versions of this video editing suite offer support for wide range of video file formats. This can be very useful for video editors who often work on projects shot on different cameras. Multi-cam editing feature enables the software's users to work with footage shot from separate angles, using more than just one camera. The videos edited with the free version of the software can only be exported to an MPEG4 file format with the maximum size of 1280X 790 pixels, and they must be uploaded to YouTube directly from the editor. Advantages: Royalty-free media and a remarkable VFX panel make Lightworks a tempting option for professional and amateur video editors alike. Limitations: The export options on the free version of the software are extremely limited and the software doesn't provide much support for inexperienced users. If you need a video editing software just to piece together a few clips you recorded on the family vacation, then ShotCut may be a bit overwhelming choice for such a task. This open-source software is equipped with a rich collection of audio and video editing features, while it also offers support for nearly all video file formats. It is best suited for users in need of powerful video editing software who don't want to spend a fortune on purchasing a professional editing suite. Features: Screen capturing, webcam video recording or audio capturing options are all made available by ShotCut. The software's video and audio editing features surpass all expectations and allow the software's users to have complete creative control over their projects. Features such as Chroma Key, Crop or Blur are accompanied by a number of amazing video effects that can be used to enhance the colors in a video. Using ShotCut requires you to just download the software and run its executable file, which means that you don't have to go through the installation process in order to start editing with this software. Advantages: 4K videos, as well as numerous other video and audio file formats, are supported by this open-source video editing software. To make things even better ShotCut grants you access to fully customizable filters. Limitations: The software doesn't feature preset export profiles, and the transitions it offers are a bit scarce. 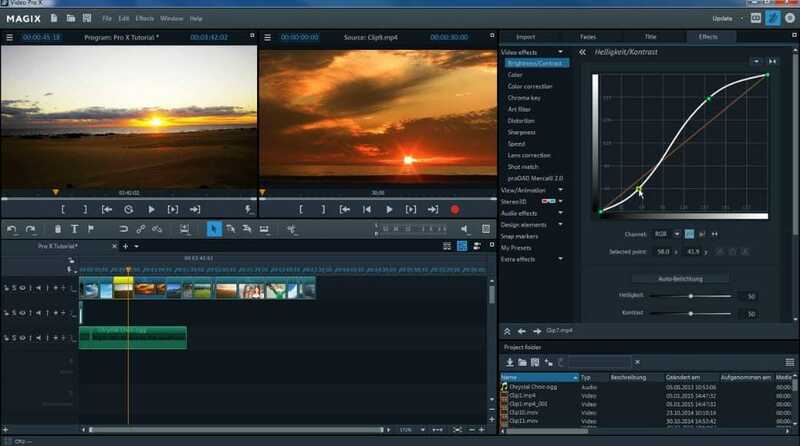 This cross-platform video editor ranks among best video editing software products currently available on the market. Its secret lies in uniting visual effect compositing and video editing options under the same roof. 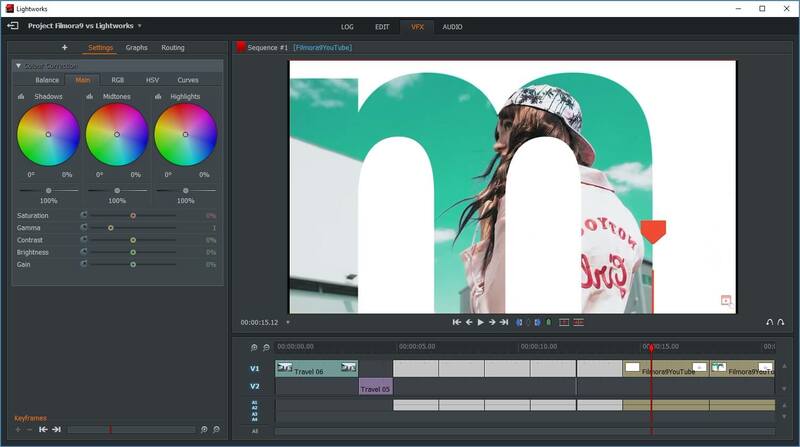 HitFilm Express is aimed at users with an enviable amount of video editing experience, since inexperienced video editors may find the software's interface difficult to navigate. This video editing suite offers a lot of video editing tools as well as visual and audio effect, that can be easily used to improve the quality of your videos. 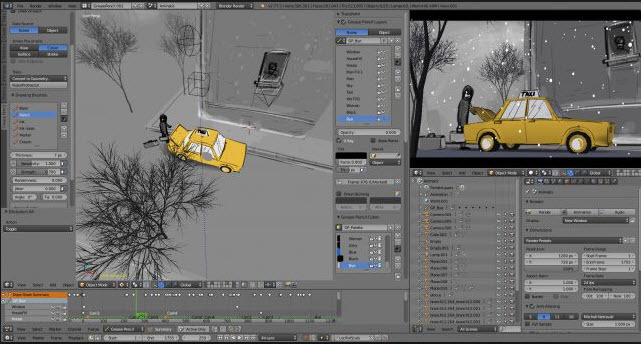 Features: The rare combination of VFX compositing and video editing makes HitFilm Express unique, while its motion design and tracking options offer support for more complex video editing actions. The software supports 2D and 3D effects compositing, as well as 4K and 360-degree videos. HitFilm Express' titling options are at the basic level, while its Export options are alarmingly narrow. This free editing software doesn't provide too many options for color adjustments, but its audio editing features can be used to create a video with a superior soundtrack. Advantages: The software offers a wide spectrum of transitions and video effects and it supports most popular video file formats. 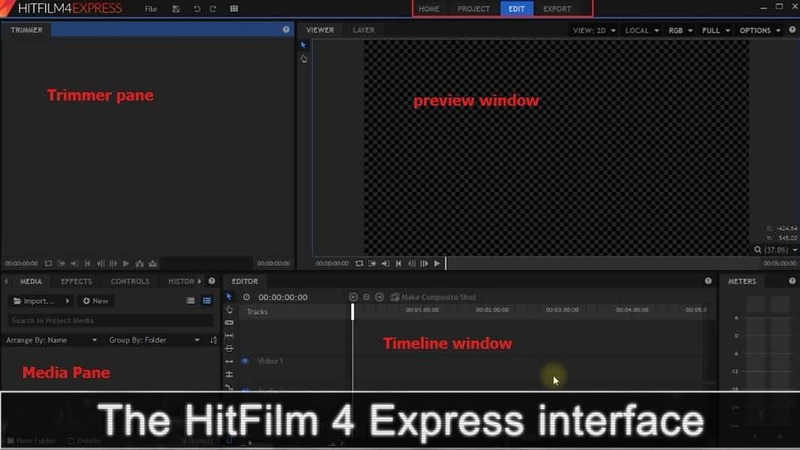 HitFilm Express lets you use semi-professional video editing tools for free. Limitations: In order to export a video from the software you must share a link on a social media platform and then download the file. People who are not familiar with the video editing process may find using HitFilm Express difficult. Blender started out as an open-source project and over the years animators, scientists, VFX artists and numerous other people have participated in developing this 3D creation suite. The software can be used for modeling, animation, video editing or compositing, to mention only a few of its many purposes. Editing video footage isn't Blender's strong suit, but its video editing features are powerful enough to enable you to perform basic editing tasks. However, this doesn't mean you can't use this software to create videos that grab the viewer's attention. Features: Cutting or trimming videos, adjusting the video's playback speed or adding keyframes to a video clip is an easy process in Blender. The software's true strength lies in its animation, 3D modeling or motion tracking features. The latest version of Blender is equipped with a motion tracking option that allows you to import the footage into the software directly from a camera. You can utilize this feature to mask areas of the shot and see the movement on camera in a 3D environment. Advantages: Blender's price and its powerful features make it an interesting choice as your primary video editing software. Limitations: You must have in-depth knowledge of animation, compositing, and 3D techniques in order to be able to use Blender. This simple video editing software has all the tools you'll ever need to quickly polish your videos. Its audio and video effects can be utilized to make your videos look and sound professionally, but Avidemux doesn't offer much more than these basic video editing options. The software provides support for most of popular video file formats, but its export options are far from perfect. Avidemux doesn't feature visual effects or transitions, which significantly limits its video editing capabilities. Features: Newcomers to the video editing world will love the software's interface, because of its simplicity. The Transform feature allows you to fade in and fade out shots, crop or rotate video clips and even add logos to your videos. Blur or Sharpen effects enable users to enhance their videos, while contrast, brightness, saturation or hue values can be adjusted to make the colors in the video look more vivid. Avidemux also features the Subtitle option, but the software can only add hardcoded subtitles to videos. Advantages: Solves all your basic video editing problems, and lets you have fun while editing videos. Avidemux also has solid encoding options and its interface is user-friendly. Limitations: There are no video effects or transitions, which narrows down the software's video editing options. VideoPad is one of the best entry-level cross-platform software products you can use for easy video editing tasks. The free version of the software is available to both Mac and PC users, although the Windows version limits the video exporting options to just two file formats. The VideoPad's interface doesn't take much time to get used to, and it perfectly adjusted to the needs of inexperienced video editors. Paid versions of the software are available to advanced editors who want to use VideoPad for more than just basic video editing. Features: The list of video editing features VideoPad provides includes several pleasant surprises. The 4K video support, as well as 360-video editing features, are aimed at GoPro owners who want a quick and easy way to process their footage. The visual effects this free video editing software provides are impressive, while the Chroma Key option enables its users to create green screen videos. Even though VideoPad allows its users to edit audio files, its audio editing features are fairly modest. Advantages: Learning how to use VideoPad is simplified by its intuitively designed interface. Limitations: There are no advanced video editing options like multi-cam editing and motion tracking and certain features become unavailable when using the free version of the software over a longer period of time. Download link: If you download the trial version instead of the free non-commercial home edition, or do not find a specific link to it on the website, you can trydownloading it from this link, or contact tech support, and they will send you a direct link. 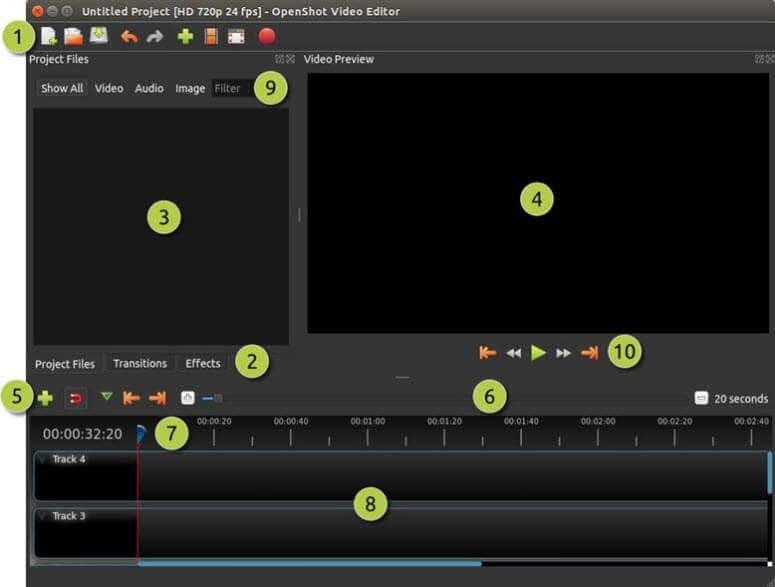 This award-winning open-source video editor offers a wide range of video editing tools that span from trimming and slicing to Slow Motion and Time effects. OpenShot is an excellent software for training and learning new video editing tricks, but it is best avoided if you are working on a large project. The software's basic video editing features make it an excellent choice for users who only want to perform simple edits without having to waste too much time. Features: OpenShot lets you add unlimited video and audio tracks to your projects, but its file management capabilities are far from impressive. The software allows you to trim or arrange the video files in any way you want, and it also provides a lot of different Transitions that can be used to make the videos look smoother. The collection of video and audio effects allows users to try out different solutions for the scenes in their video clips. 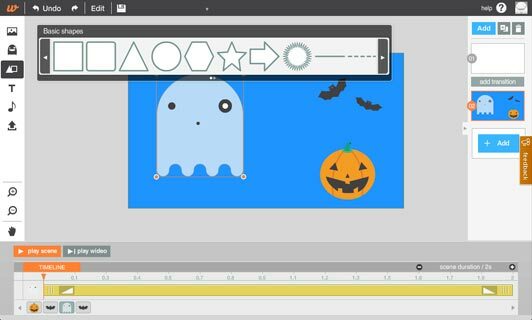 OpenShot features a Vector Title Editor that can assist you in creating perfect opening titles or end credits. Advantages: The interface of this open-source video editing software is designed to assist its users through every step of the video editing process. OpenShot is a great choice for all video editors who want to save money and use a powerful video editing software at the same time. Limitations: More complex video editing options such as Rotoscoping, are not available. You may have to install add-ons if the OS you are using doesn't meet the software's system requirements. Almost two decades ago, this open-source project was started by Jason Wood in order to develop a video editing software for Linux OS. Over the years, a small team of developers has created Windows and MacOS versions of the editor that now have a loyal fan base. Even though the software's features make it a reliable choice for more complex projects, Kdnelive can also be used to perform simple edits. This video editing software combines the simplicity of entry-level video editors with advanced video editing tools frequently used by experienced professionals. Features: The functionality of this video editor will surprise even the greatest of skeptics. The software's timeline lets you to add as many videos and audio files to your project as you want, making it a perfect tool for large-scale projects. 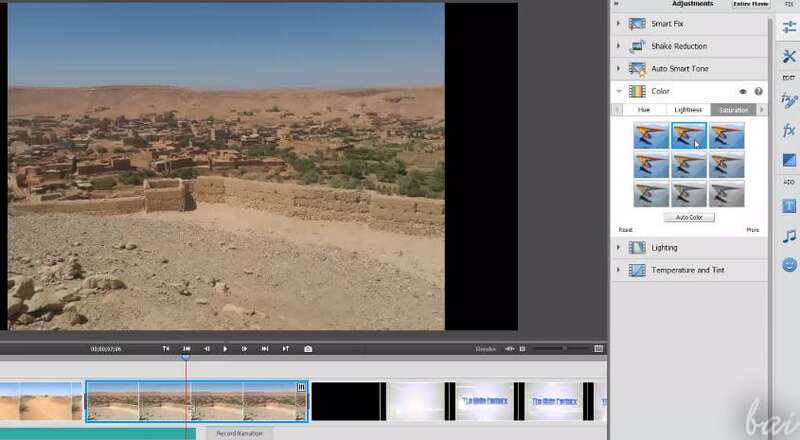 The visual effects and transitions enable users to manipulate the footage in any way they see fit, while the extremely powerful analysis tools such as histograms, waveforms or vectorscopes enable them to monitor all the adjustments they make on their footage. Advantages: Kdnlive provides support for nearly all input file formats that can be added easily to the software's multitrack timeline. The free open-source add-ons can extend the video editor's capability and thus enable you to perform a wider range of video editing actions. Limitations: Even though the software provides the screencast recording option, it doesn't feature the PIP effect. Multi frame-rate editing isn't possible and software's updates can last for hours. There are very few video editing suites that can offer as much to its users as Adobe Premiere Pro can. It is probably one of the best video editors ever created, as it has been setting the industry standards for a long time. 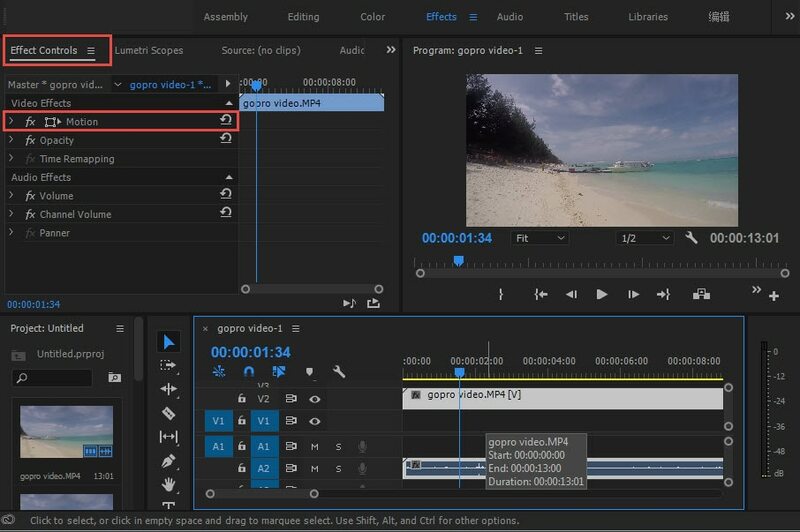 High-end professionals frequently use Adobe Premiere Pro on their projects, while aspiring filmmakers strive to learn every option this unique video editor has to offer. The much-famed software isn't the best choice for video editors who are just learning the basics of the trade, although it supplies a staggering amount of tutorials and learning materials. Features: With each new version of Adobe Premiere Pro the list of the software's features becomes longer. Its timeline is famous for its ease of use because it enables you to add as much new audio or video tracks as your project requires. This is arguably one of the best color correction software packages on the market, while its color grading features are no less impressive. Adobe Premiere Pro provides support for a wide range of video file formats including 4K, HDR, and 360 VR videos. Advantages: Perfect for collaborative projects that involve large teams of experienced professionals. The software is at its best when used with other Adobe's products that enable you to develop projects beyond the boundaries set by the Adobe Premiere Pro's limitations. 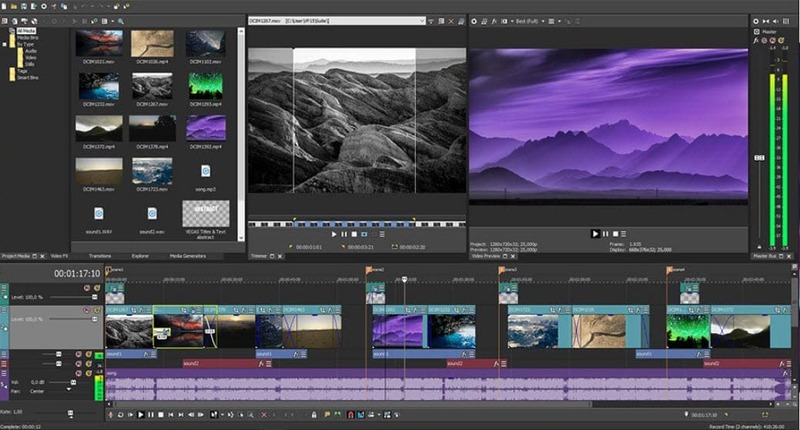 Limitations: You cannot purchase the lifetime license to use this video editing software, and paying monthly subscriptions may be hard on the budget of some of its potential users. Successful independent artists, film producers, and all other film and video enthusiasts can only benefit from purchasing this video editing suite. The software belonged to Sony Creative Software for much of its history, but on May 20. 2016 the company sold it to Magix. Previously known as Vegas Pro or just Vegas, this video editing software is widely accepted as one of the best professional video editing tools ever created. There is virtually no video editing task that cannot be completed in Magix Vegas Pro video editing software. Features: This video editor is designed to provide support to its users from the beginning until the very end of the video editing process. Magix Vegas Pro recognizes almost all video file formats, even those captured with professional RED or ARRI Alexa cameras. You can use this software to edit 3D or 4K videos, while the Multicamera-Editing feature lets you switch between any number of video sources with a single mouse click. Effects such as Automatic Crossfades allow you to create transitions between shots effortlessly. Advantages: The seemingly unlimited amount of learning resources makes editing with Magix Vegas Pro a lot easier and it enables less experienced video editors to learn new tricks. Limitations: There aren't as many visual effects as you would hope for and the software's interface isn't aesthetically pleasing, but it is very functional. 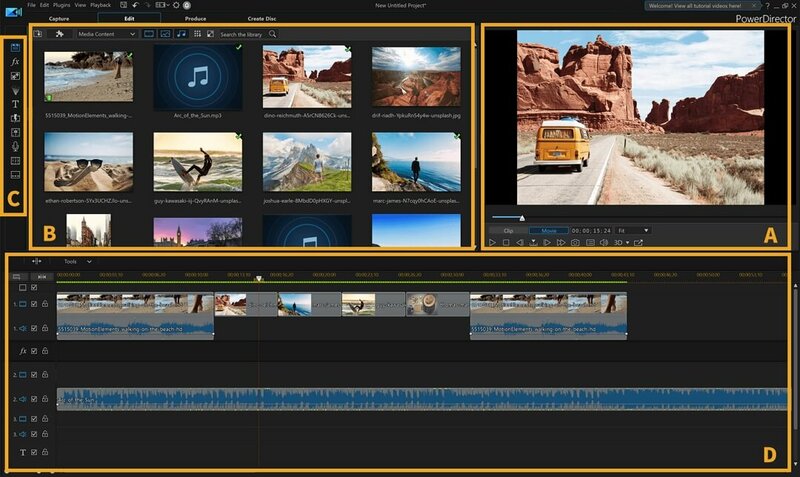 Although it is often regarded as a simplified version of Premiere Pro, this video editing suite offers enough video editing tools to edit videos at the semi-professional level. Adobe Premiere Elements contains automated versions of Premiere Pro's features and in this manner it enables its users to utilize professional video editing tools on their prosumer level projects. Even though this Adobe's software product lacks the power of professional video editing software packages, it still offers enough video editing tools for the production of nicely polished and well-rounded videos. Features: Adobe Premiere Elements recognizes all popular video file formats, and it offers support for 4K content. In addition to its remarkable file format compatibility, the video editor also features 3D editing and face detection options that can be very useful when working on more complex video projects. The haze-removal effect is extremely efficient at reducing the fog or cigarette smoke in a shot, while the motion titles let you create visually impressive opening titles or end credits. The Adobe Premiere Elements has performed exceptionally well when rendering large video files. Advantages: The software's Guided mode provides support to its users and helps them learn how to perform all video editing actions. The asset management tool offers assistance with the organization of large amounts of video and audio files. Limitations: When compared to other video editors in this guide Adobe Premiere Elements' device and social media optimization features seem to be in short supply. This is probably one of the best and most popular video editing software packages aimed at amateur and semi-professional users. There are several versions of the software available, and each of them contains a different amount of options and video editing tools. Even with somewhat reduced capability, the least expensive version of the editor supports 360-degree as well as VR options for posting on social media such as Vimeo, Facebook or YouTube. CyberLink PowerDirector isn't a professional video editing software, but it still offers a lot of extraordinary options that can take you a step closer to producing a professional video. Features: The 360-degree video editing options are probably the first thing that catches the eye when you look at the list of features the software provides, but its true power lies in its color tools. LUTs, HDR effects or Split Toning options are just the tip of the iceberg since PowerDirector offers countless tools for fine-tuning of the colors in your videos. Animated PIP effects and video collages make this video editing software a perfect choice for the production of tutorials and all other types of online videos. Advantages: The audio editing options provided by CyberLink PowerDirector are nothing short of amazing since they enable the software's users to manipulate the audio files in any way they see fit. Limitations: Motion tracking and color lookup features are not always reliable. The software is a bit overpriced when compared with similar video editing suits. This video editor is a great choice for people who have never edited a video before and who want to learn how to perform basic video editing tasks. Video Easy's intuitive user interface can be mastered by anyone with enough determination to edit videos with this software on a constant basis. Features this editor offers may not be as impressive as to ones provided by professional video editing suites, but they are powerful enough to produce clean edits that give your videos a professional look. Features: If you choose to make Magix Movie Video Easy your primary video editing software, you will never have to worry about what type of camera you used to record your videos since the software is compatible with all standard camcorders, digital cameras, and Smartphones. The rich collection of transitions and effects, as well as the intro and outro animations, can all be used to create amazing videos. You can export videos to DVDs, Blu-Ray discs or YouTube directly from the software. Advantages: If you are looking for a video editor that will enable you to add music to your videos, trim or cut videos quickly and choose from hundreds of effects, then you should look no further because Magix Movie Video Easy provides all of these options, and much more. Limitations: Doesn't perform well when used for demanding video editing tasks. The continued development of the Corel Video Studio over the last ten years has positioned it as one of the best video editing software products for amateur and semi-professional video editors. The feature-packed video editing suite offers a lot more than just basic video editing features, since it supports 3D, 4K Ultra HD videos, as well as 360-degree VR videos. Lens correction or PIP tools alongside Stop Motion and Pan and Zoom Controls ensure that each video edited with the Corel Video Studio Ultimate meets the highest industry standards. Features: With a library that feature more than 2000 visual effects this video editor fosters creativity and enables its users to experiment and try out new things in their videos. The software supports a wide range of file formats, so you don't have to worry about the type of camera you're using to capture your videos. 4K footage or VR videos are equally easily edited in Corel Video Studio Ultimate, which is the reason why even the seasoned video editors can use it on their projects. Advantages: The multipoint motion tracking feature makes editing action videos easy. The software's interface is user-friendly and well-organized, so you don't have to spend hours looking for video editing tools. Limitations: The rendering process may take a while, especially if you are working with large video files. Magix has been the largest European video editing software manufacturer for more than two decades. Its software products may not enjoy the fame of Adobe's video editing software packages, but this doesn't mean that a video editor such as Magix Video Pro cannot be used for the production of professional-looking videos. Besides offering basic video editing tools this video editor also features advanced video editing options such as Stop Motion animation or 360-degree video editing. Magix Video Pro is often labeled as 'one of the best video editing programs out there'. Features: Audio editing features that come with this video editor include an audio mixer that enables you to reduce noise levels, control the low, mid and high sounds or simply equalize the sound volume across the entire project. The video editing tools supplied by the Magix Video Pro are as impressive as its audio editing options. Lens correction features, Split screen videos or 360-degree video editing options reveal only a fraction of the software's capabilities. Magix Video Pro delivers professional video editing features to consumer-level users. Advantages: The software allows you to place any type of media file on its timeline and use it in your project. Limitations: The effects library installation process can be time-consuming, although it is well worth the wait. The world's largest video sharing platform also offers basic video editing services. 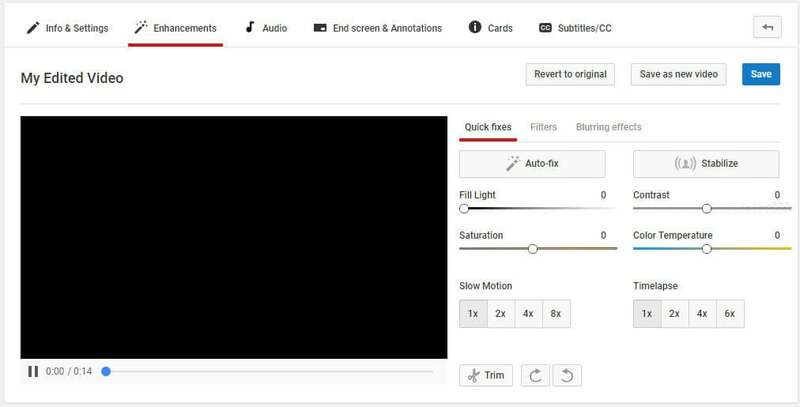 Although Google has discontinued its built-in video editor, it still allows tts users to trim or rotate videos, apply filters or even create time-lapse and slow-motion videos on line. Brightness, contrast or saturation levels can be altered if you want to enhance the colors in your videos. Audio editing features are limited because the platform only allows you to add a single audio file to a project you're working on. However, some of the most important video editing features like adding the text or creating titles are not available. Advantages: Allows you to polish your videos before posting them on YouTube for free. Cons: This online video editor lacks some basic video editing tools such as transitions or audio controls. If you were looking for a web app that contains all the tools required to cut a small video file, then Online Video Cutter is one of your best options. You won't even have to create an account before you start the video editing process. The videos you upload to this online editor can't exceed the 500 MB size limit. Besides cutting their videos, users of this editor can also rotate or trim their footage for free. Online Video Cutter provides support for nearly all video file formats, so you don't have to worry about the file format in which your video was captured. Advantages: Offers a quick way to trim videos online and it is exceptionally easy to use. Limitations: Lacks even the most basic video editing features other than cutting, trimming and rotating videos. This free online editing tool lets you process videos without even registering or creating an account. You can add videos, photos, text, and music into a single project and mix them together into an awesome video. The platform grants you access to its rich filter library, and it also allows you to add text overlays, fade audio and video files or create smooth transitions between shots. Movie Maker Online features its own collection of royalty free music and photos you can use to make your videos look and sound better. The webpage's design is a little odd, and it may take some time to get used to it. Advantages: The app offers a lot of different video editing tools and it allows you to perform all basic video editing actions online. Limitations: Movie Maker Online is funded by ads, and requires you to disable your AdBlock app before you can start editing a video. ClipChamp lets you upload videos you already recorded or capture new footage using your computer's webcam. The free version of this web app allows you to export in 1080p video files, but you can't produce more than five videos in a single month. 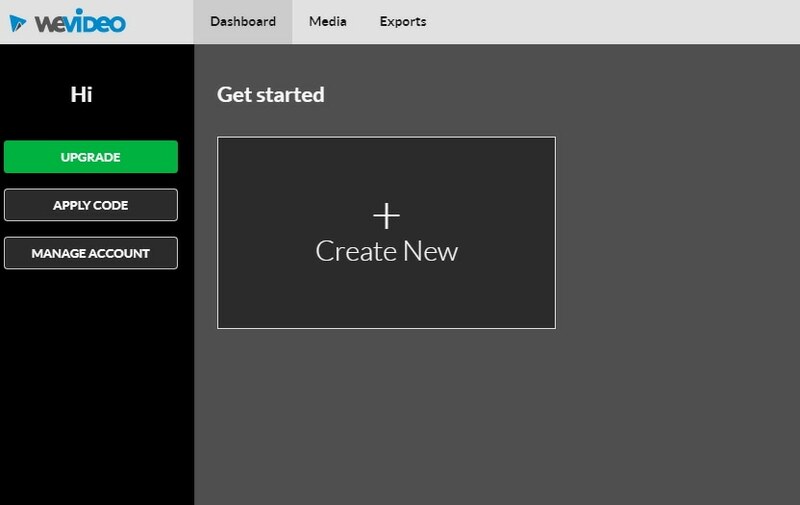 Both versions of the online video editor require you to create an account, and the videos exported from the free version of the app don't have a watermark. ClipChamp provides numerous video editing tools, including transition, color adjustments or cropping. The exporting process doesn't last too long and you can choose whether you want to share the video on social media or download it to your computer. Advantages: Makes creating webcam videos as well as editing preexisting footage look easy while providing excellent export options. Limitations: The free version of ClipChamp allows you export only five videos in a month. 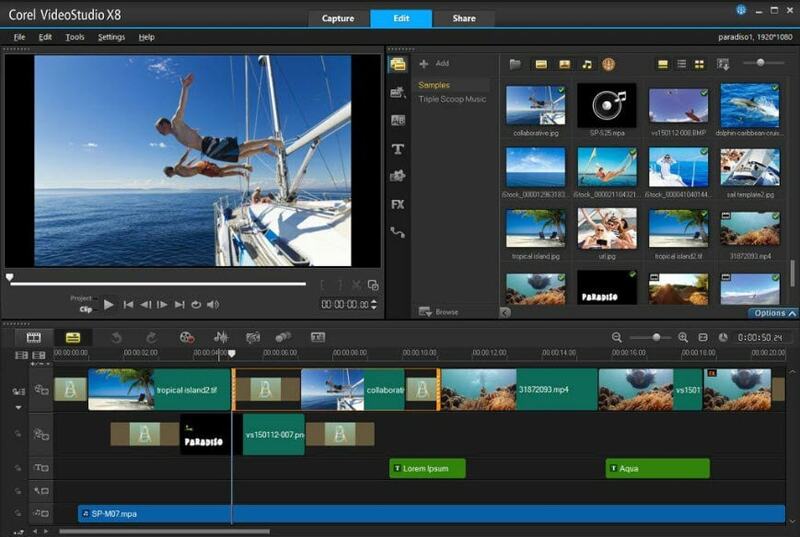 The capabilities of WeVideo online video editor surpass the basic level of video editing. The platform offers support for iOS and Android devices as well as desktop computers. Producing square or horizontal videos, creating motion titles or publishing videos in 720p HD resolution are just a few amazing options this online video editor provides. The paid versions of the web app are best suited for skilled video editing professionals or large teams that are working on demanding projects. WeVideo's free version doesn't allow its users to publish more than 30 minutes of video content each month and each exported video contains a watermark. Advantages: Produces videos with great picture quality and offers tons of advanced video editing options. Limitations: Creating an account is mandatory even for video editors who want to use the free version of WeVideo. 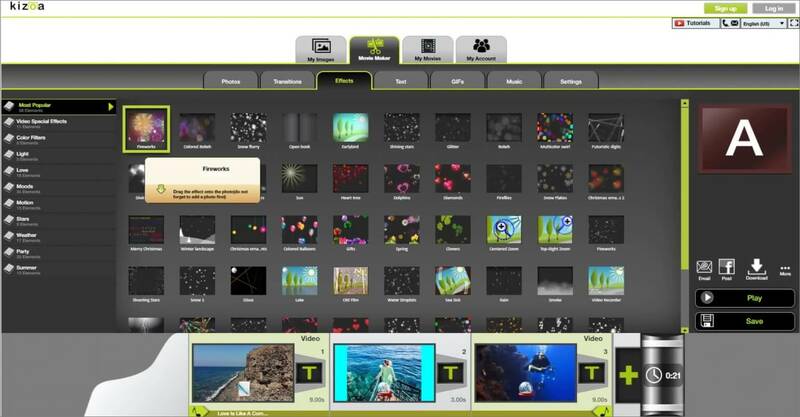 Kizoa offers a broad spectrum of transitions, visual effects, animation and text effects to its users for free. The video editing platform is frequently used to create goofy short videos that can be easily shared on Facebook or Twitter. The app allows you to add photos to your video projects and it grants you access to an incredibly rich royalty free music collection. However, you will have to create an account on Kizoa in order to be able to export the videos you created. The editor's timeline is rudimentary, but still functional enough to enable users to combine audio, video, and photo files. Advantages: Kizoa is a powerful tool for the creation of entertaining social media videos. Limitations: You must create an account in order to be able to export your projects, and the online video editor doesn't feature any advanced video editing options. All video enthusiasts can use Wideo platform to edit their videos, regardless of their skill level. In addition to amazing video editing options, this online video editor also features animations that can be used to create professional presentations. All video content uploaded to Wideo is stored on the cloud, and pricing plans for professionals include unlimited storage space. The Basic version of the editor allows for just ten downloads in a month and it doesn't let its users upload videos to YouTube. Even though this video editor is easy to use, it is better suited for skilled professionals than it is for inexperienced video editors. Advantages: Even the Basic pricing plan enables users to export HD videos, while Professional and Enterprise pricing plans include the Full HD export option. Limitations: Limited audio editing options significantly reduce the capabilities of this online video editing platform. 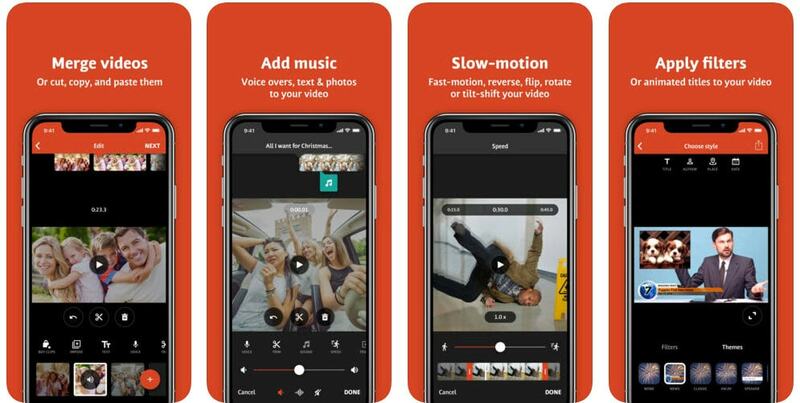 The Wondershare's video editing app for Android and iOS devices is designed to offer assistance to YouTubers and Vloggers who want to edit their videos directly from their Smartphones. Vlogit is equipped with video editing tools that enable you to cut, trim or rotate videos, while its sound editing features include recording voiceovers, adding sound effects or choosing the music you want to use as a soundtrack to your video. The app lets you combine photos and videos within the same project, and it also enables you to create customized openers from animated templates. The videos created and exported with the Vlogit app don't contain watermarks. Advantages: Offers powerful video editing features to YouTubers and Vloggers who want to edit their videos from their Smartphones for free. Limitations: The list of visual effects the app provides could be longer. You can edit your videos with FilmoraGo in just three simple steps. All you have to do is choose the videos and photos from your phone's gallery, Instagram or Facebook account, select a theme, insert transitions or add a song and share the video directly from the app on social media or to your email address. Besides the powerful video editing features, this app for iOS and Android devices also allows you to set your video's aspect ratio to Square 1:1 if you would like to share the clip on Instagram or Cinema 16:9 if the video is shared to YouTube. Advantages: Supports HD export options and provides a diverse set of video editing options. Limitations: The app can't perform advanced video editing tasks. The extensive list of features VideoShop app offers makes it one of the best options for novice video editors who want to quickly create visually impressive videos. This video editing app allows you to work with multiple video files or merge them into a single video. The animated titles enable users of the VideoShop app to create professional-looking intros for their videos, while the transitions feature allows them to seamlessly piece together all shots featured in a project. Tilt-Shift and Stop Motion options are also available to video editors who want to make their videos look more professional. Advantages: Fun and easy to use video editing app that lets you manipulate footage in any way you want. Limitations: VideoShop contains ads, and the app's version for iOS devices only supports videos recorded with iPhones and iPads. iPhone videographers who need access to semi-professional video editing tools will certainly enjoy using this app. Filmmaker Pro offers support for 4K footage filmed on the latest models of iPhone and it enables its users to add an unlimited number of text overlays, video clips, voiceovers or audio tracks to the app's timeline. The video editor grants you access to over 30 filters, video grading features, as well as Chroma Key and Ken Burns effects. In addition to impressive video and audio editing features, Filmmaker Pro's users can also record videos with a camera that lets them adjust settings manually directly from the app, although this option must be paid for. Advantages: Text overlays, audio editing features and the ability to select the aspect ratio for each video you edit with this app, make it one of the best video editing options for iOS devices. Limitations: Nearly all of the app's best features must be purchased. 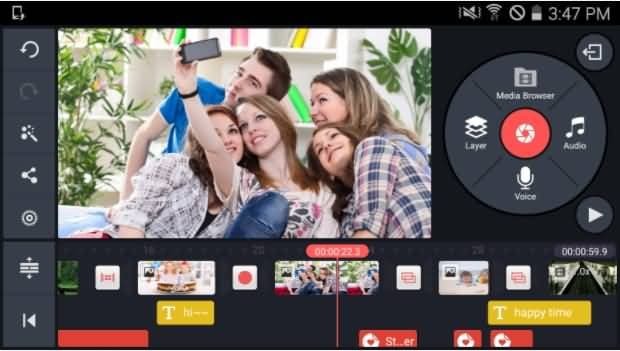 This cross-platform video editor is one of the premier options for mobile video editing on both iOS and Android devices. KineMaster is currently the only app that enables Android Smartphone owners to add as many layers of videos, photos, and text to their projects as they want. However, it only supports a limited number of video file formats, which means that the app shouldn't be used to edit videos that weren't recorded on an iPhone or Android phone. KineMaster provides a wide range of video exporting options and allows you to share videos on popular social media networks. Pros: Above average video and audio editing features. Limitations: Offers a lot of options mobile video editors seldom use. Creating neatly organized projects with LumaFusion is a simple task because the app features a powerful Project Manager that lets you sort files or select aspect ratios for your videos. In addition, the Media Library lets you import all types of files from a cloud storage or drag and drop media from other apps. Producing slow-motion videos that have 120 or 240fps or creating green screen videos using the Chroma Key effect is easy with LumaFusion. The app's audio editing features are as impressive as its video editing tools since they provide the complete control over the audio files to the video editor's users. Advantages: Color correction options, LUTs or numerous visual effects are all part of the reason why LumaFusion is one of the best apps for mobile video editing. Limitations: Only available for iOS devices. This award-winning app for iOS devices provides all the tools a skilled video editor could desire. Its features include support for 4K videos, wide selection of aspect ratios as well as stylish intros, end credits, and titles. Besides offering professional video editing tools, Vizzywig also features Multi-Camera recording options that can capture videos in 8K resolution. In addition, the app is capable of producing videos that have eight times more pixels than the Apple's Facetime HD Camera. The non-linear timeline lets you arrange video clips in any way you see fit, and allows you to add multiple media files to each project you are working on. Advantages: Lets you control the focus and exposure manually and produce videos with stunning picture quality. Limitations: Single platform compatibility and a high price narrow down the number of the app's potential users. Adobe has produced some of the most iconic video editing software products in history, but their Adobe Premiere Clip app is certainly not one of them. The apps offer only basic video editing tools for cropping or cutting footage, while it also features some basic audio editing options. The powerful video editing option we are used to from Adobe's products are nowhere to be seen, although if you have the license for Adobe's Creative Suite you can gain access to the mobile version of Lightroom. Adobe Premiere Clip is a great choice for all newcomers to the world of video editing, but more experienced editors can find a better option. Advantages: This app is a great tool for all mobile video editors who are trying to learn the ropes of the trade. Limitations: Limited audio editing options as well as the overall underwhelming performance. Unlike the Adobe's app for mobile video editing, PowerDirector lives up to all expectations. This user-friendly app lets you create reverse, 4K, or green screen videos. To make things even better, you can easily apply visual and audio effects or add voiceovers to your projects. In addition to the video editor, the PowerDirector app is also equipped with a powerful photo editor that lets you manipulate images in a professional manner. You can use almost any type of video or audio file in this app because it provides support for all commonly used file formats. Advantages: PowerDirector is designed to help its users polish their video quickly and effortlessly. Limitations: Videos in 1080p and 4K resolutions can only be exported after you've made an in-app purchase.